Welcome to Butler County Ohio! Dog Warden - Butler Co. Attention: Commissioners Meeting in progress. Click here to watch. Watch Now: Commissioners Meeting in progress. Click here to view. Butler County was formed by the State of Ohio on March 24, 1803 from portions of Hamilton County. Its county seat is Hamilton, where the first fort was built on the bank of the Great Miami River. It is named for Richard Butler of Pennsylvania, a major general in the American Revolutionary War. Butler died in 1791 fighting American Indians in northern Ohio. His army marched out of Fort Hamilton, where the city of Hamilton now stands. The Honorable Judge Dan Haughey was elected to the Butler County Area III bench on November 4, 2008. He was re-elected to a six year term in 2010. Judge Haughey sits in the West Chester Police/Courts Building on Beckett Road in West Chester Township. The Honorable Judge Kevin C. McDonough was appointed to the Area II Court bench on January 4, 2007. He was elected in November, 2008 to finish the unexpired judicial term for the Area II Court. Judge McDonough was re-elected to the bench in 2012. He sits in the historic courthouse in downtown Hamilton. 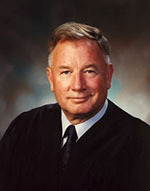 The Honorable Judge Robert H. Lyons was appointed to the bench, and began presiding over cases in the Butler County Area I Court in Oxford, Ohio, on February 8, 1999. He was re-elected in 2012. Judge Lyons sits in the Area I Court in downtown Oxford, OH. Judge Lyons is the Presiding and Administrative Judge of the three Area Courts. A lifelong Butler County resident, Roger Reynolds was appointed County Auditor in April 2008, elected to complete the full term as Auditor in November 2008, and has been re-elected to full, 4-year terms of office in 2010 and 2014. Previously Roger served as Liberty Township Fiscal Officer from 2003-2008. Mary Swain has more than two decades of experience in the Butler County Common Pleas Court. She was appointed in 2011, and won election in 2012. Cindy is a strong voice for our communities, families, and children. Her initiatives include reformation of child welfare programs, reducing the cost of county operations, and instituting performance measures. She works with Workforce One to bring new jobs and helped retain existing ones. Cindy is committed to improving the quality of life for all people of Butler County. Don Dixon was first elected to the Board of Commissioners in 1982. In 2007, he was appointed to replace retiring Commissioner Mike Fox. Over the years, Don has served on the Fairfield Township Board of Trustees, the Butler County Planning Department, the Transportation Improvement District and many other organizations. TC was born and educated in Butler County, he brings new knowledge and insights as a business owner of over 35 years and supporter of local office holders for more than 25 years. Having lived in six different Butler County communities affords him the benefits of long-lasting relationships with exceptional people throughout the county. As a graduate of the University of Cincinnati, he is acutely aware of the importance of providing exceptional education to our children. His primary goal is to provide a safe, vibrant economy that these same young men and women will choose to continue their lives in Butler County after graduation. Judge Charles L. Pater was born in Hamilton, Ohio and educated in its public schools. He was salutatorian of his graduating class, in 1968. He was captain of the football and track teams, an all-state linebacker, and two-time district shot put champion. He played in the Ohio All-Star football game, and was named co-captain of the southern squad. In January, 2005, he was inducted into the Hamilton City Schools Athletic Hall of Fame. Governor John R. Kasich appointed Gregory S. Stephens to serve as a judge on the Butler County Court of Common Pleas beginning March 14, 2016. Judge Stephens received his bachelor’s degree in business finance from Miami University in 1991 and his Juris Doctorate from the University of Dayton School of Law in 1995. Judge Stephens served as an assistant county prosecutor for Butler County since 1997. Judge Stephens served as a Special Assistant United States Attorney from 2012 to 2013 and is a member of the Ohio State Bar Association, the Butler County Bar Association and the National District Attorneys Association. Judge J. Gregory Howard was admitted to the practice of law in November 1987 after earning his Juris Doctor from the Salmon P. Chase College of Law. After completing law school and passing the bar, Judge Howard began private practice in Hamilton, Ohio in 1987, with a concentration in criminal defense and family law. During his thirty year tenure as a practicing lawyer, Judge Howard has been involved in many civic and professional activities. Judge Howard is a member Ohio State Bar Association, Middletown Area Republican Club, Past President Butler County Bar Association, and Mid-Miami Valley Bar Association. He has also served as former Regional Chair of the Butler County Republican Party, Chairman of the Butler County Bar Association’s Criminal Law Committee, and was a participant in the Lawyer to Lawyer Mentoring Program established by the Ohio Supreme Court. Judge Jennifer Muench-McElfresh was appointed to the Butler County Common Pleas Court by Governor John R. Kasich in October of 2013. Prior to taking the bench, Judge McElfresh served as an Assistant Prosecuting Attorney with the Butler County Prosecutor’s Office for fifteen years. In addition to representing county agencies as an Assistant Prosecutor, Judge McElfresh prosecuted juvenile delinquency cases as well as adult misdemeanor and felony cases. In 2011, she became the Division Chief of the Child Assault Division of the Butler County Prosecutor’s Office. Judge McElfresh received a Meritorious Service Award from the Ohio Prosecuting Attorneys Association in 2012. To read more visit the Common Pleas website. Keith M. Spaeth has served as Judge of the General Division of the Butler County, Ohio, Court of Common Pleas since April, 1999 following his service as Judge of Fairfield Municipal Court. Prior to serving on the bench, Judge Spaeth was a partner with the law firm of Millikin and Fitton, where he engaged in a general practice. Judge Michael A. Oster Jr.
Michael A. Oster, Jr. was elected Judge of the Court of Common Pleas, General Division in November, 2014 and began serving on the bench on February 9, 2015. 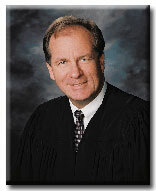 Judge Oster was admitted to the practice of law in November, 2003. He immediately began working as an Assistant Prosecuting Attorney for Butler County, Ohio. In 2007, Judge Oster was named the Chief of the Appellate Division for the prosecutor’s office. Judge Oster remained in that position until he took the bench in February, 2015. Hon. Noah E. Powers II was elected to the Common Pleas Court bench in 2006, taking office on January 2, 2007. While on the bench, Judge Powers has maintained his regular criminal and civil dockets, being recognized for excellence in administering those dockets by the Cincinnati Business Courier, and serving in leadership roles on the Court, including current service as the Presiding Judge of all divisions of the Common Pleas Court, which consists of twelve judges, and former service as the Administrative Judge of the General Division of the Common Pleas Court, which consists of seven judges. His ongoing judicial education continues through the National Judicial College; the Ohio Judicial College, and other judicial organizations, including the Advanced Science & Technology Adjudication Resource Center in Baltimore Maryland, being named an “ASTAR Fellow” in 2013. Dr. Mannix is a Butler County native. She grew up in West Chester and graduated from Lakota High School. She earned her medical degree from the University of Cincinnati and completed residency and fellowship at the Cleveland Clinic Foundation. Dr. Mannix is a Board Certified Neurologist and for over 10 years had a private practice in West Chester, specializing in the treatment of patients with chronic headache. In April 2012, Dr. Mannix was appointed Butler County Coroner and was elected in November 2012. Hon. 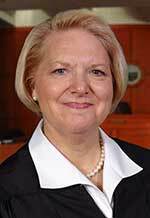 Judge Barbara Schneider Carter, Administrative Judge Court of Common Pleas, Domestic Relations Division Admitted to the Ohio Bar in November, 1991, Judge Carter entered private practice, then served 11 years as an Assistant Butler County Prosecutor. In her tenure as an Assistant Prosecutor, she helped found the Butler County Drug Court, and later specialized in prosecuting family violence cases. Judge Carter continued her work with family issues at the Supreme Court of Ohio, lending technical assistance to juvenile and family drug courts around the state, and working with domestic violence forms and policy. 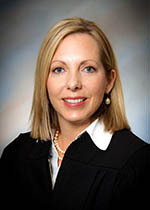 Judge Carter returned to Butler County to serve as a Magistrate with the Domestic Relations Division from January, 2005 until January, 2011, when she was elected to the bench. Judge Carter became Administrative Judge in December, 2012. Margot Halcomb serves as judge in Butler County Common Pleas Court, Domestic Relations Division. She was appointed to the bench in 2013 by Governor John R. Kasich and elected in 2014 and 2016. 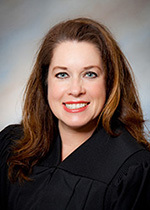 Judge Halcomb is a graduate of Miami University and Capital University Law School. Prior to her judicial appointment, she was a corporate Vice President at First Financial Bank, N.A. To read more visit the Domestic Relations website. Greg rejoined the BCEO as the new Butler County Engineer after a two and a half year stint as Executive Director of Butler County's Transportation Improvement District. Employed at the Engineer's Office since 1973, Greg worked in several departments providing him with a wide background and solid foundation upon which to build his career. Judge Craft has served as Butler County Juvenile Court Judge since 2003. He retired from the United States Air Force at rank of Lt. Colonel. He previously served as a Butler County Assistant Prosecuting Attorney and Probate/Juvenile Court Magistrate. Judge Randy T. Rogers has served as the Probate Judge of Butler County, Ohio since February 1, 1995. From 1996 through 2000, Judge Rogers also served as Butler County's first Drug Court Judge. Danny was appointed to serve as Butler County Recorder in January of 2000 and re-elected in November, 2000 for a four year term and again in 2004 and 2008. Since becoming county recorder, Danny has been appointed to the Ohio Recorders' Association Legislative Committee, heads the Association Technology Committee and represents the Association in the Property Records Industry Association (PRIA). Danny is Past President of the Ohio Recorders' Association and currently Chairman of the Legislative Committee. Richard K. Jones was sworn in as the 45th Sheriff of Butler County Ohio on January 2nd, 2005. He took over the office on Monday January 3rd, 2005. Richard's continuing record as an administrator of the Butler County Sheriff's Office for over 14 years reflects a continuing dedication and commitment to the safety of everyone in Butler County.